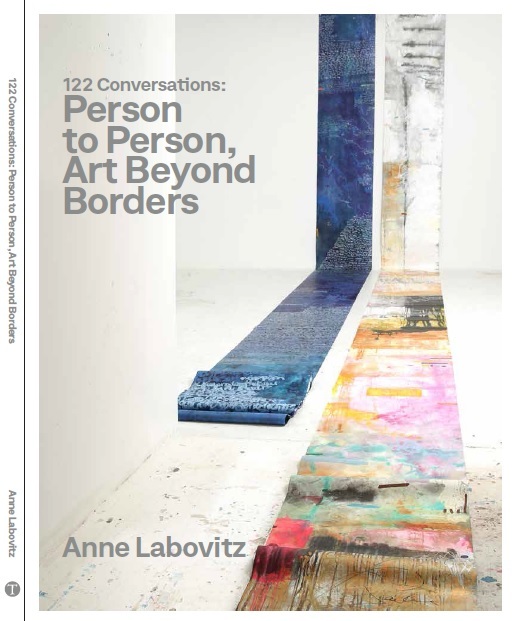 122 Conversations: Person to Person, Art Beyond Borders is an artist led project based on the art of engagement — art derived from the process of interconnection and cross-cultural dialogue. Organized by the Tweed Museum of Art and in collaboration with Duluth Sister Cities, International and University of Minnesota Duluth, School of Fine Arts, the project celebrates the combined 122 years of relationship with Duluth’s five sister Cities: Rania, Iraqi Kurdistan, Växjö, Sweden, Petrozavodsk, Russia, Thunder Bay, Canada and Ohara Isumi-City, Japan. The project is a catalyst for positive social change, one individual at a time. 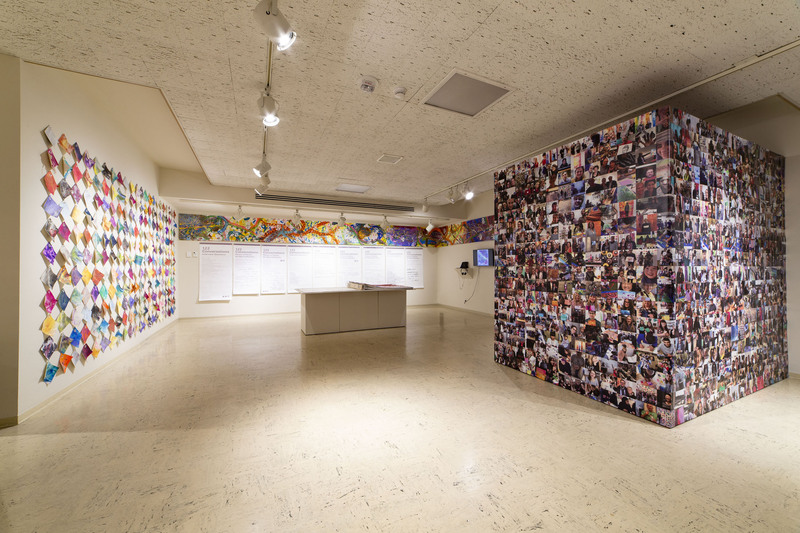 The artwork in the exhibition represented six years of planning and creating and 60 Skype or in ­person interviews involving ten residents from each of the six sister cities, including the mayor of each city. The large ­scale paintings were created by Labovitz in her studio and were inspired by the spirited interview exchanges. 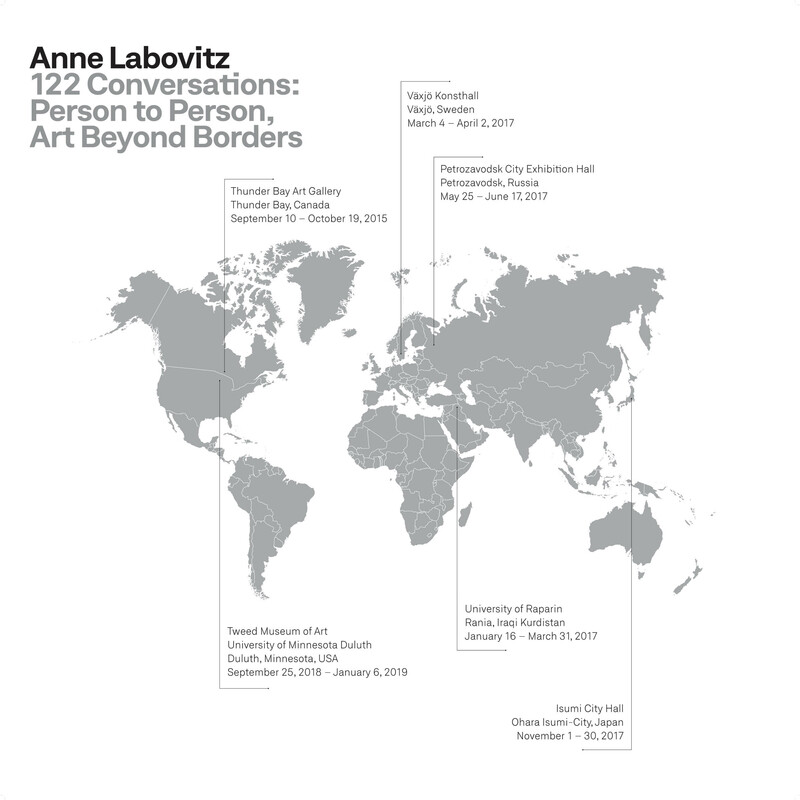 Each of the artworks depict an interpretative vision of the conversations that include faces, words, and descriptions of the experiences that relate to the individuals involved. 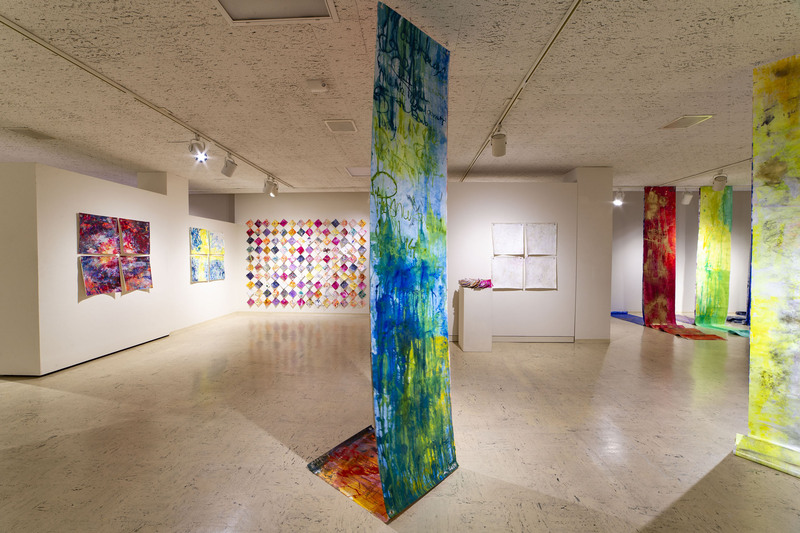 The work chronicles the essence of human interaction through relational listening into palimpsest paintings and video. An integral component was a public invitation for attendees to contribute to an anthology of stories. 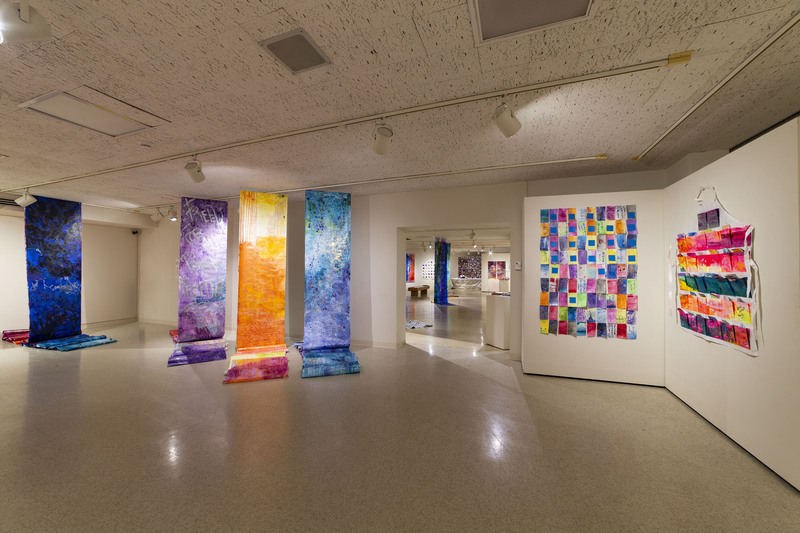 All are invited to contribute to the exhibition using materials provided, transforming their responses to the exhibition into art pieces that returned to Duluth for the final culminating venue held at the Tweed Museum of Art in Duluth. Click here to view Exhibition Catalog. Available for purchase through Amazon. To promote peace through mutual respect, understanding, and cooperation — one individual, one community at a time.